Welcome! - Website of watsonwoodart! Although I had been woodturning for many years before moving to central France in 2006, this region has become a major source of inspiration. Even the French refer to the Creuse as "forgotten France" and to some, this would be the middle of nowhere, but to us, it is somewhere very special. The outstanding beauty of the area, green rolling hills, forests, lakes, hidden gorges and distant mountains would inspire any artist. However, after living here a while, you also become aware of how much the area is steeped in history. Perhaps not the history taught in schools but that of the small communities, which change very little. The evidence is everywhere, not only in the landscape, buildings, ancient tracks and wells, but in surviving customs and farming practices. 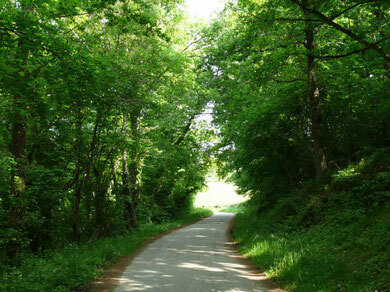 The Creuse has also been called "le pays des arbres" - the land of trees and, for me, it’s paradise. 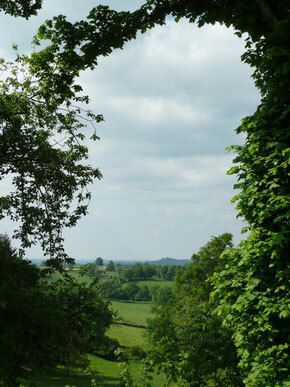 Although timber is a major cash crop in the area, older woodlands contain mixed oak, chestnut, and beech, as well as many wild fruit trees such as cherry and pear. There are numerous overgrown orchards and because of the tradition of home produced "eau de vie", the hedgerows are still studded with ancient gnarled plum trees.